This syrup is a maccha green tea flavor. The combination of shaved ice and chewy rice dumplings is nice. This summer is abnormally hot. Although after the week of ‘Obon’ (three-day Buddhist holidays on August 13, 14 and 15) Japanese usually start to feel the summer ending and a little sad, this summer is too hot for them to have such a sentimental feeling. Here is Kakigori. 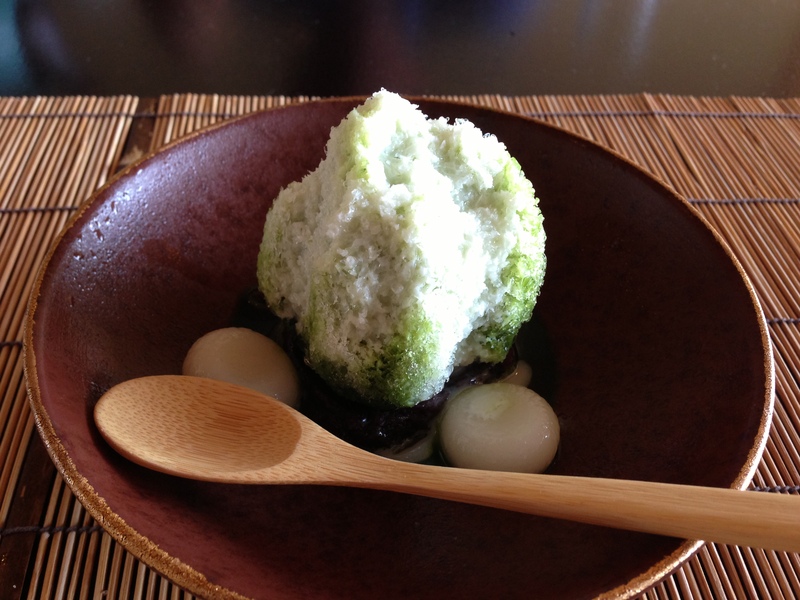 It’s a popular summer sweet of shaved ice covered with syrup. 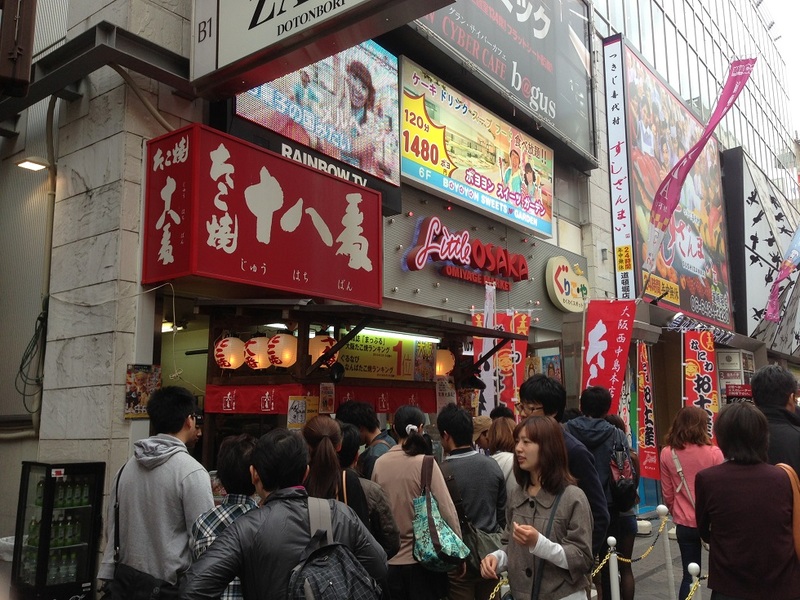 Some famous Kakigori cafes have enthusiastic fans waiting in a long line under the ruthless sun. Maybe the heat like this is becoming usual because of global warming. And the Kakigori season would be longer. 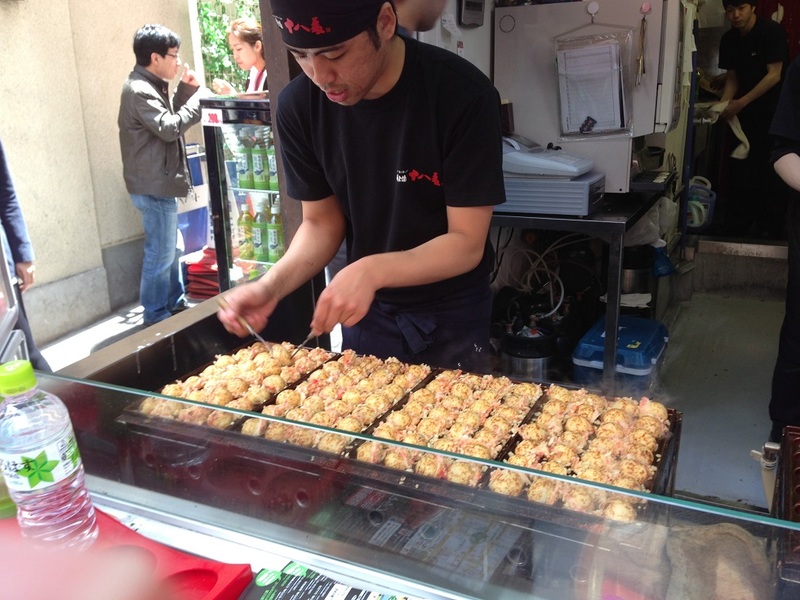 ‘Ju-hachi ban’, a very famous ‘takoyaki’ stand in Dotonbori area, Osaka. You can always find many customers waiting in a line. the staff’s ‘takoyaki’ cooking performance is remarkable. His movement is very quick. So you could have your turn soon even though you are in the long waiting line. ‘Takoyaki’ is dumplings with a piece of octopus. 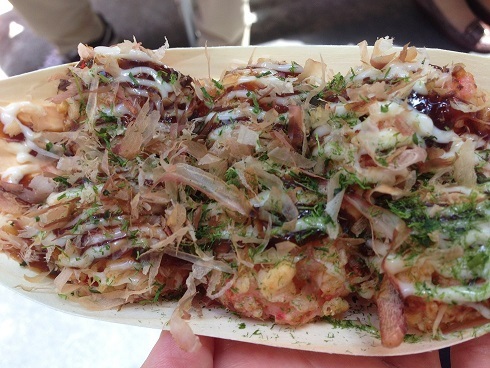 It is a very popular food in Japan and the famous specialty of Osaka. The combination of thick sauce and bonito flakes is awesome. However, you need to be careful when you have the first bite. Because it is very hot. Whenever I eat it, I burn my mouth. But I am sure it is worth trying! Now Japan is celebrating this news with the festive mood. As for this decision, there was an additional pleasant surprise for us. 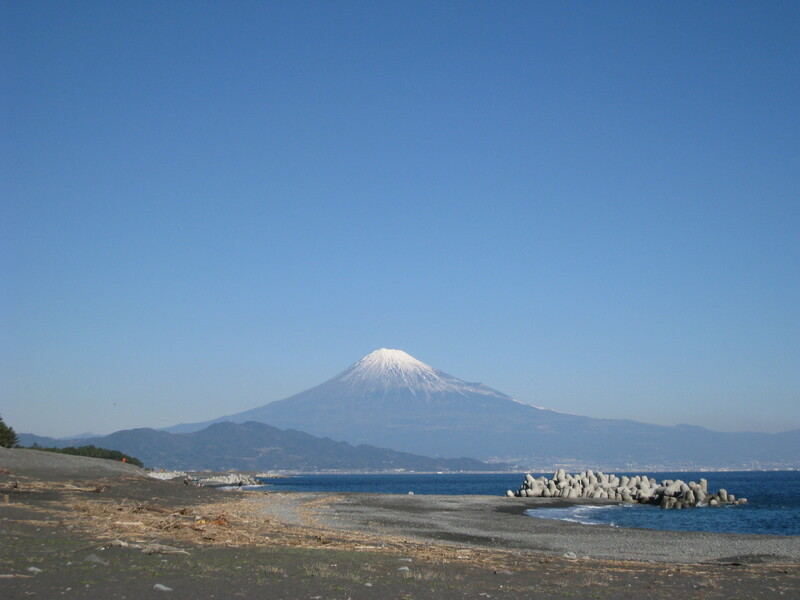 That’s ‘Miho pine grove’ was accepted as a part of Mt.Fuji-related cultural assets. ICOMOS(International Council on Monuments and Sites) had decided that it wouldn’t recommend this site for the World Heritage Committee. They said the biggest reason was its distance. Miho Pine Grove is about 45km away from Mt.Fuji. However, in the session of the committee, many committee members supported this site saying it is indispensable to the value of Mt.Fuji. Actually, this place has given inspiration to many artists as a part of Mt.Fuji. But since influential ICOMOS didn’t say ‘YES’, most Japanese didn’t expect much about its registration. Some newspapers call this happy news ‘a grand slam in the bottom of the nineth inning’. Now we are grateful for the committee members’ great support and understanding of its value. I am not a coffee person. So I can’t talk about coffee. However, I have seen several times that foreigners didn’t expect much first and finally got so impressed by coffee available from street vending machines. 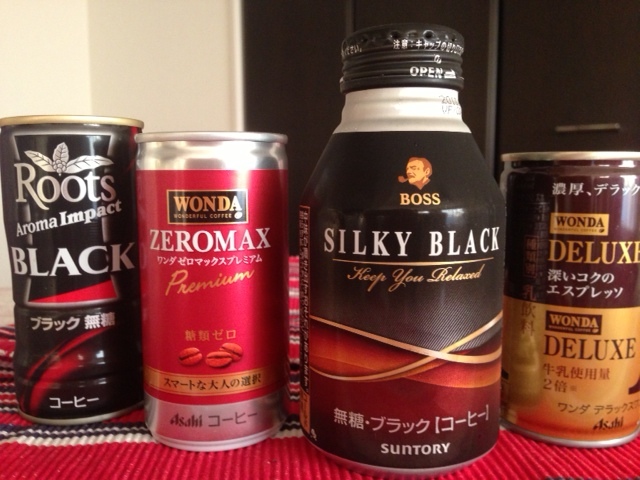 There are a variety of canned coffee from black, a little sweet, cafe au lait to espresso and etc. According to a survey, Japanese per capita coffee consumption ranks less than 20th in the world. It is surprising to me. I wonder if this includes the consumption of canned coffee. Anyway, why don’t you try and check them yourself? 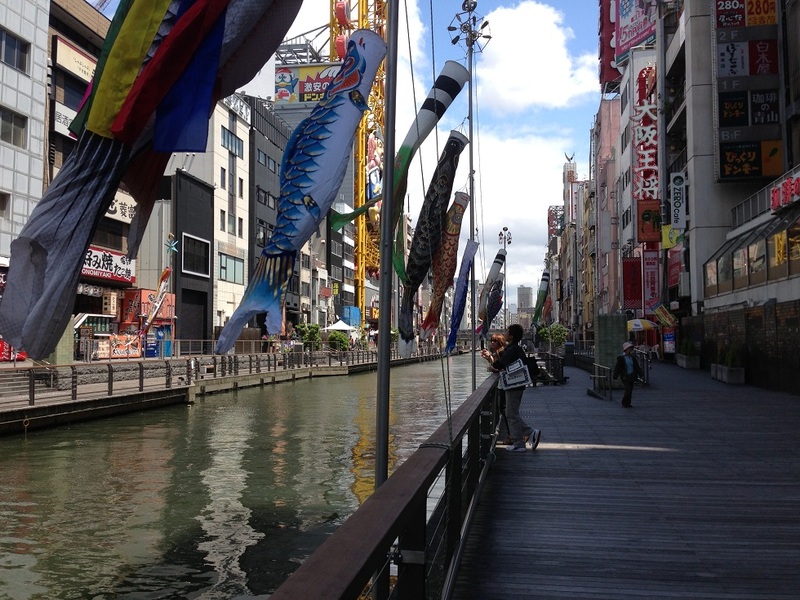 The promenade (about 150 meters long) along Dotonbori river has a relaxing atmosphere. You can enjoy a nice breeze a little away from the hustle and busle of the area. Tourists often take pictures like this. 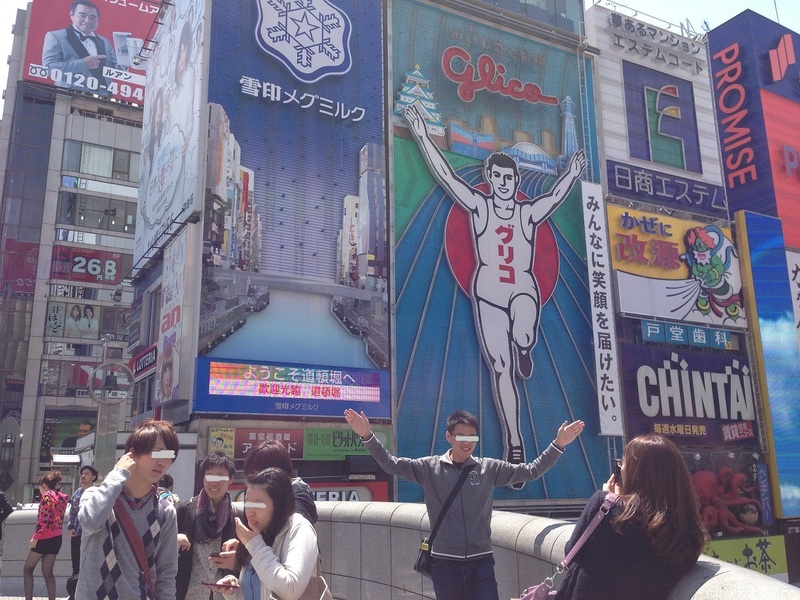 This is a sign of Glico famous for its Pocky. 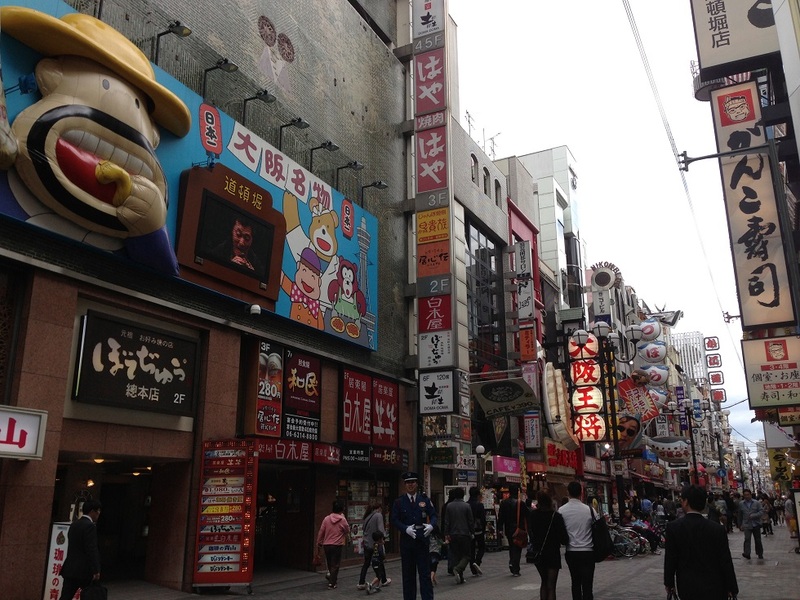 Dotonbori is the entertainment area with many restaurants and bars around Dotonbori river. This is a very lively and famous tourist spot of Osaka. Shops and restaurants have prominent signs to stand out. 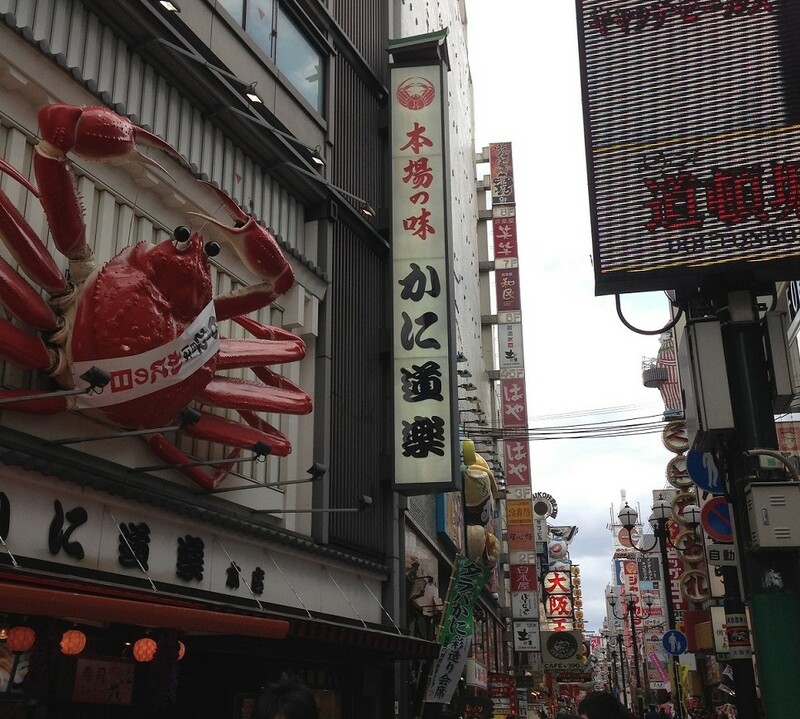 Thanks to those signs, Dotonbori is like an amusement park. 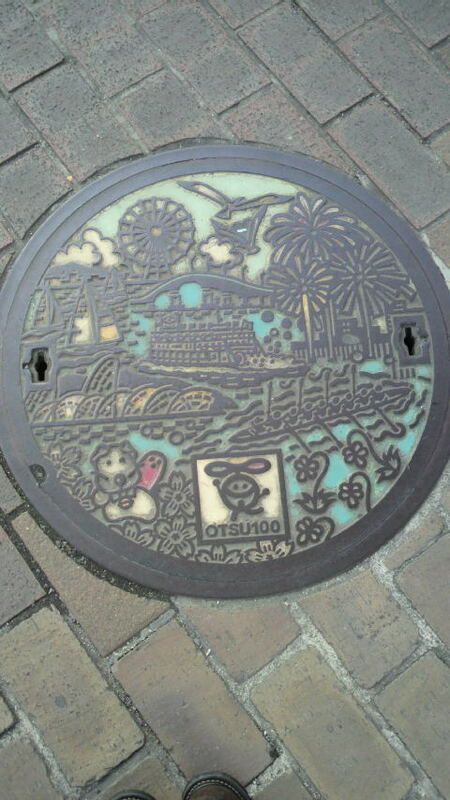 Generally, people of Osaka are regarded as very unique in Japan. They are usually cheerful, friendly, loud, disorderly and crazy about the local professional baseball team ‘Hanshin Tigers’. In this city jaywalking is a familiar sight. 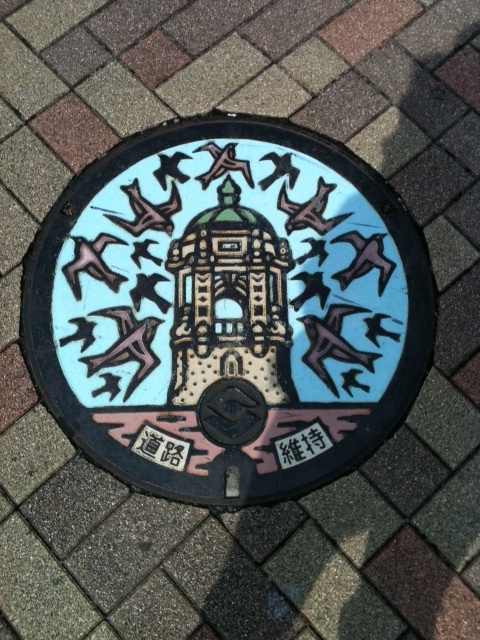 The people have a strong sense of rivalry against Tokyo. Certainly, this city is distinctive. 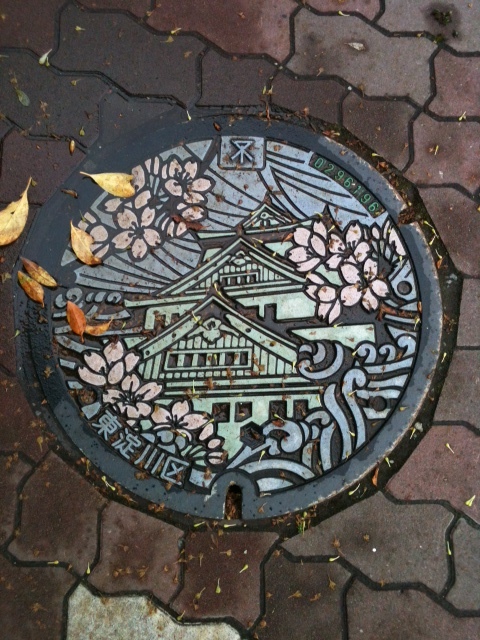 You can come across nice manhole covers on Japan’s streets. Those covers often represent regional appeal. This mh cover shows the city’s attraction ‘lake Biwa’, the largest lake in Japan. I found this mh cover near the sea. It got warm very suddenly this year 2013. Until two weeks ago it was very cold and temperature was less than 10 degrees Celsius. 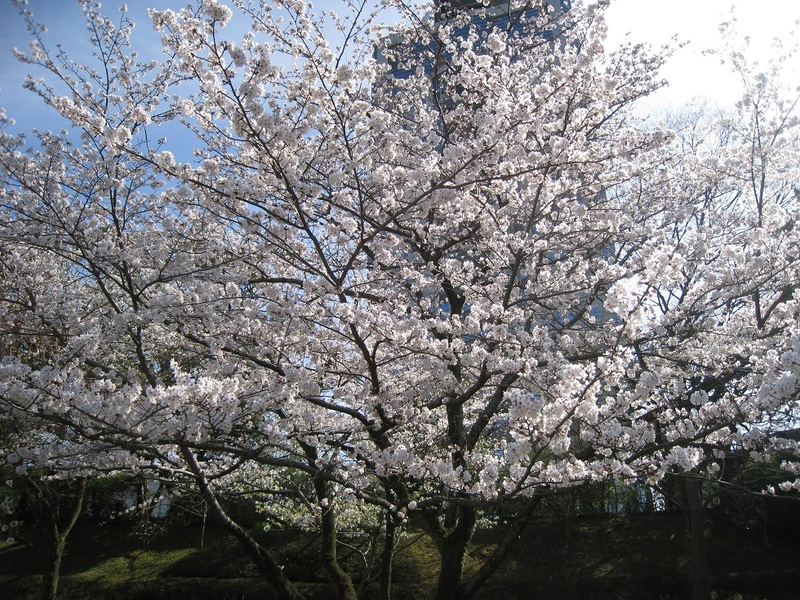 Japan usually has a spring slowly with the combination of three cold days and four warm days. But this year was quite different. It seems that cherry trees are upset and hastily started to open. Famous spots for cherry blossom viewing will be packed with people today.